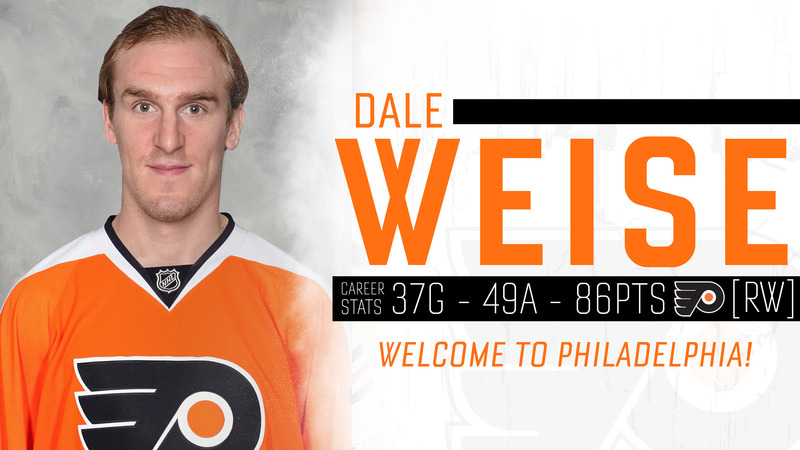 The Philadelphia Flyers announced that they have signed free agent forwards Dale Weise and Boyd Gordon, according to general manager Ron Hextall. Split last year between the Montreal Canadiens and Chicago Blackhawks where he posted 27 points (14g-13a) in 71 total games. 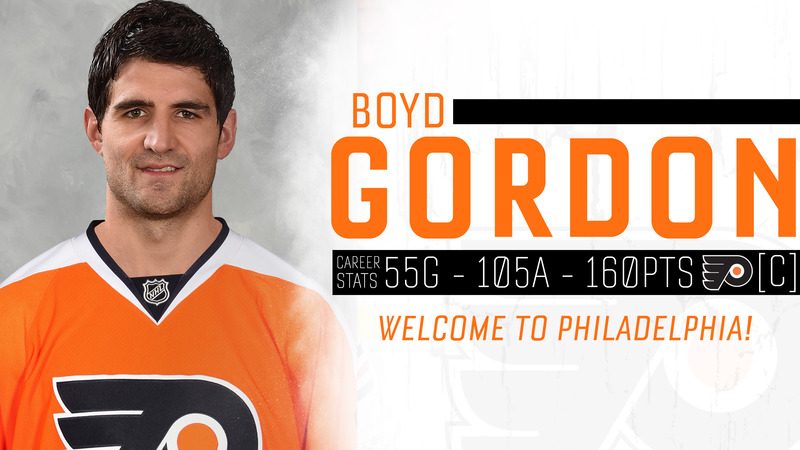 He was traded to the Blackhawks around the Trade Deadline on Feb. 26. Played a majority of his season with the Canadiens where he recorded all 14 of his goals and 26 of his 27 points in 56 regular season games with Montreal. Recorded one goal in four playoff games with the Blackhawks. Has a career total of 86 points (37g-49a) in 329 regular season games - 59 of those 86 points have all come in 152 games in the last three years while he was with Montreal Canadiens. In the Stanley Cup Playoffs, he has a total of 11 points (6g-5a) in 38 games… Four of his six postseason goals were game-winning goals. Recorded four points (2g-2a) in 65 games for Arizona last season, his third season with the Coyotes. He has appeared in 693 regular season games in the NHL, posting 160 points (55g-105a) over parts of 12 seasons with the Coyotes, Washington Capitals and Edmonton Oilers.